Let’s face it, guys – in this day and age, texting has become a crucial part in dating, and consequently, you must improve your texting game. In the past men had to muster up the courage to call the girl and ask her out, but nowadays it’s all about digital communication, so texting is the new calling. When you meet a new girl, chances are they are more likely to text her than call her. It’s the same thing, but instant messaging seems less invasive to them. Once you get their Whatsapp, this is where all the fun begins – so to let you in on a little secret, here are some tips to step up your texting game! Be original with the opening line. Flirt a little, but don’t come on too strong. Share funny or interesting photos with her. Find a way to ask her out. One of the worst ways to start a conversation is just by typing “Hi”. If you want to girl to be instantly interested, start with an opening line that shows off your personality instead of a boring old “hi”. If you’re a funny guy, crack a funny joke to make her laugh. If you’re a smart guy, you can share a witty pun or mention your perspective on an intellectual subject. When you come up with an original opening line, it shows the girl you made an effort in texting her. The guy’s worst fear is becoming friend-zoned, so to get the message loud and clear that you’re interested in becoming more than friends, you gotta flirt a little to get a little. But this is all about timing – make sure the girl is comfortable enough with you before you start flirting because otherwise you’ll be like one of those creepy guys on Tinder and scare her off. How exactly did the fight between the two of you start? Girls love to talk about themselves, so always ask open-ended questions which gives them a chance to reply your texts. The worst thing you could do is be self-absorbed and just talk about yourself without asking her any questions. By asking open-ended questions, it shows you’re a good listener and that you care about her life. Everyone loves a cute photo of a cat or a funny picture from the internet nowadays, so make her think of you and make her day better by sharing something funny or entertaining with her! Just make sure it isn’t something too creepy or weird. Otherwise, this will freak her out and make her go running for the hills. To avoid becoming her platonic texting buddy, you’ve got to ask her out before it’s too late. Timing is crucial when it comes to asking a girl out – if you ask her out after one day, she’s probably not comfortable enough to meet you in real life yet. But if you ask her out after a month, she’s probably already friend-zoned you and found another guy to date. The ideal time to ask a girl out is probably after a week of texting, and since it’s the first date, you can just propose something casual, like getting a drink at the bar. 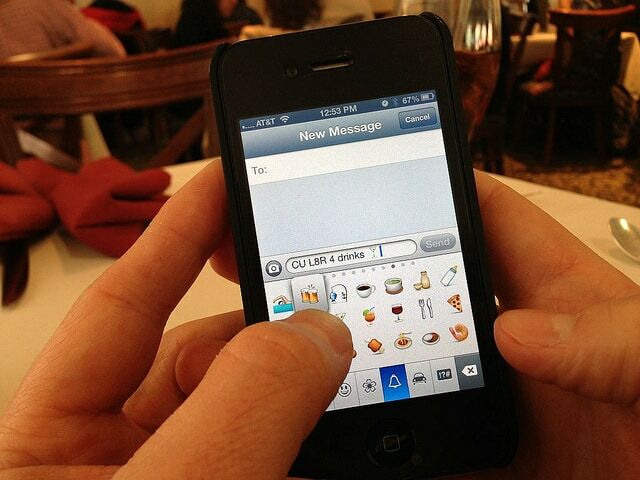 By improving your texting game, you will improve your chances of getting a first date. 69 Trick Questions and Answers: How Many Can You Answer Correctly?